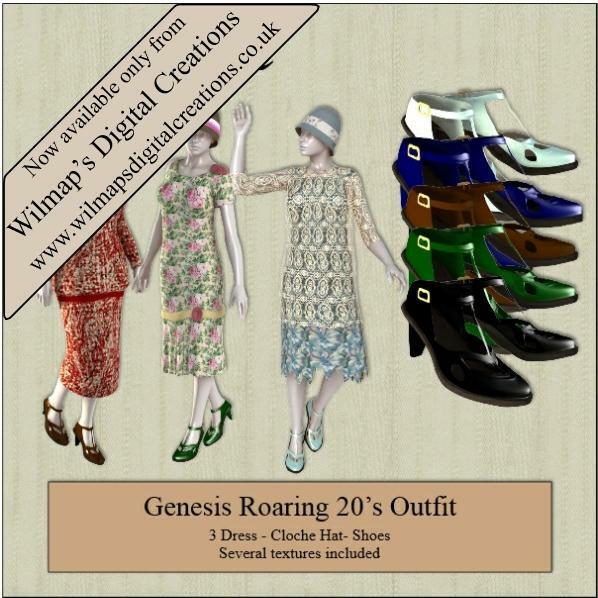 Roaring 20s style shoes for Genesis for use in Das Studio 4.6. Got the whole set, thanks again, Wendy. Don't know what I'd do without you. Love these shoes! Thanks again! Wonderful, wonderful, wonderful! You met the 20's style perfectly; thank you for this great set! Thanks Wendy, I really look forward coming to sharecg to see what beautiful new creations you've made for us all. And am really grateful for your generosity. Great shoes! Thanks again. :) I wish people will be more appreciative of your great work which will be not so cheap in the 3D stores ... and they get it all for free!! Thank you very much, super outfits as usual.